24 year old Kristina Bazan is an artist, author, singer and composer from Switzerland. After a successful career in fashion as a digital influencer with her Kayture blog and channels (over 5m followers), she is now dedicating herself to music. Earlier this year she released her single, Clockwork, and became the first ‘Music Beauty Talent’ for YvesSaintLaurent. 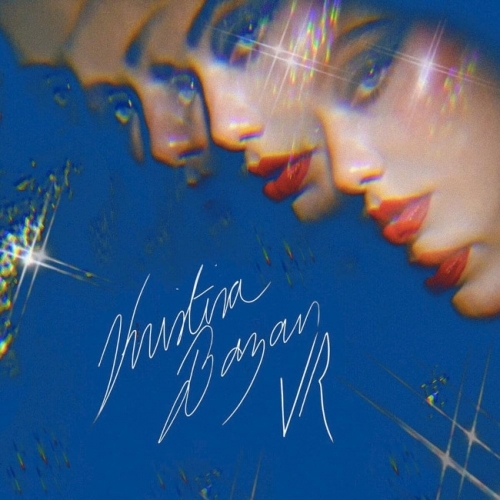 VR is the sublime lead track from Kristina’s debut EP, EPHV1, and gorgeously combines dreamy electronic melodies with a steady, punchy synth beat and clear, crystal vocals in this shimmering number. With key connections to the fashion industry, the former brand ambassador for L'Oréal Paris and influencer has already secured a number of features and photoshoots with music and fashion tastemakers, including Abookof.us, Euphoria Zine, Civilian Mag, Vulkan and QP. By drawing inspiration from Goldfrapp, Kate Bush, and Lana Del Rey, Kristina has created a perfect sound and vision for her artistic endeavours.